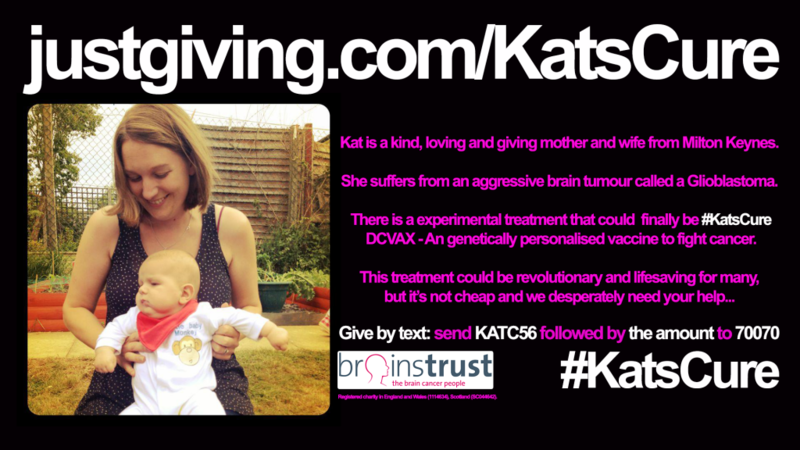 Kat is a kind, loving and giving mother and wife from Milton Keynes and suffers from an aggressive brain tumour called a Glioblastoma. To battle this Kat has endured Chemotherapy, Radiotherapy, and major brain surgery. Treatment for brain tumours is extremely difficult, but medical science has progressed. For the past 12 months Kat has been on a medical trial which up until now had been holding back to the tumour, but it’s now growing again. Now has come for us to really fight to find #KatsCure. DCVAX – An experimental bespoke vaccine. To create this surgeons will remove as much of the tumour as possible. The tissue is kept alive as it is transported to America, there they create the bespoke vaccine which is engineered to attack the very cells is has been created from. A fully personalised vaccine to attack cancer. This treatment could be revolutionary and lifesaving for many, but it’s not cheap and we desperately need your help. We need to raise £90,000 amount to pay for #KatsCure. You can help, your donations will fund DCVAX treatment and also Avastin, an agent added in to traditional chemotherapy treatments. Your donation is entrusted in to the hands of UK registered charity, The Brains trust. They will manage your donation to pay for the above treatments. Several years ago she suffered seizure, triggered by a brain tumour. This was graded as a low grade and for a number of years remained inactive. 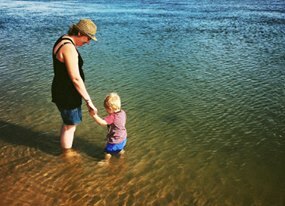 Three months after the birth of our son, we were told that Kat’s brain tumour had progressed to the most aggressive stage of Glioblastoma. The following months brought chemotherapy and radiotherapy and in December 2013 it looked like good news! There was a significant reduction. However a few months later Kat’s suffered further seizures and was taken to hospital. For our son’s first birthday she was undertaking major brain surgery to have as much of the tumour removed as possible. Several months of chemotherapy followed until we were told it wasn’t working and there was no more that can be done and Kat has a matter of months to live. This brings us close to where we are today and exploring the incredible advances in science. Kat signed up to a medical trial and for the last 12 months has seen success allowing a return to a normal life for a short while. 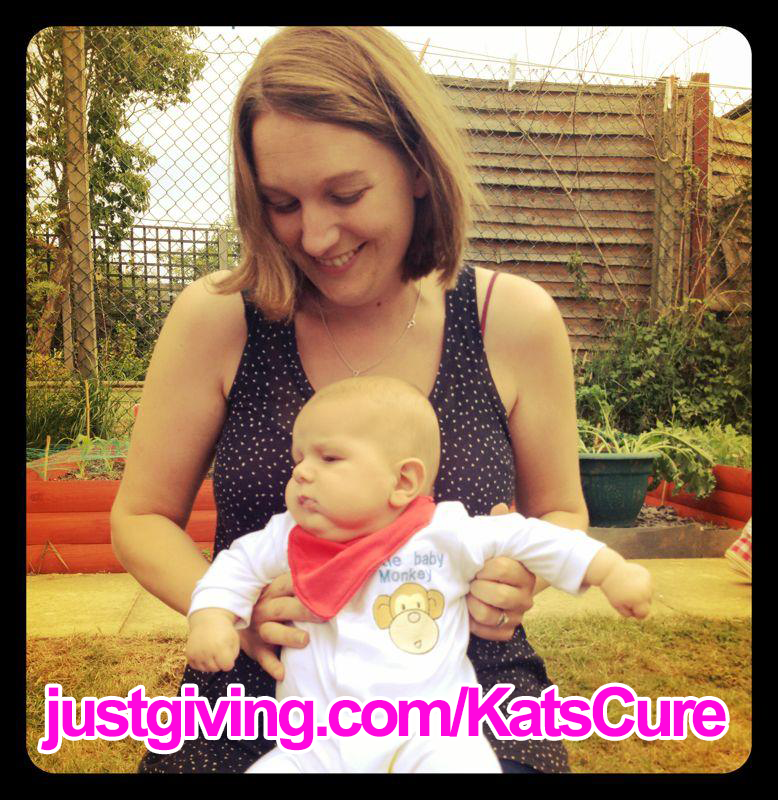 Want to do more to help with #KatsCure? Share this page and help us get the story out there, you can host a coffee morning, hold a cake sale at work, set up a sponsored run, and talk to any local business about a corporate donation.